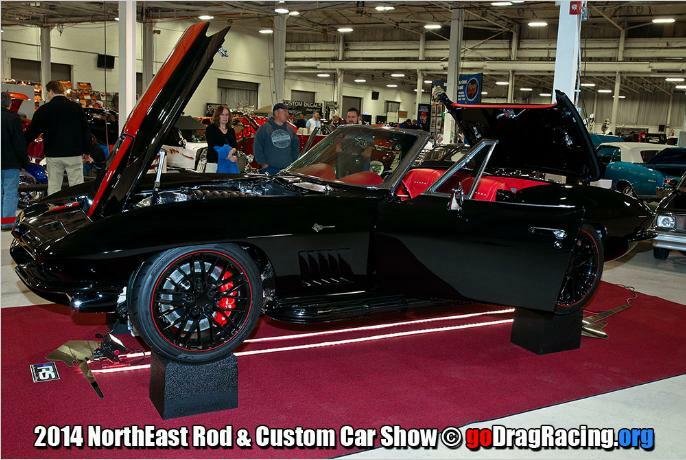 The NorthEast Rod and Custom Nationals now enter its fourth year as THE most prominent Indoor Car Show on the East Coast. 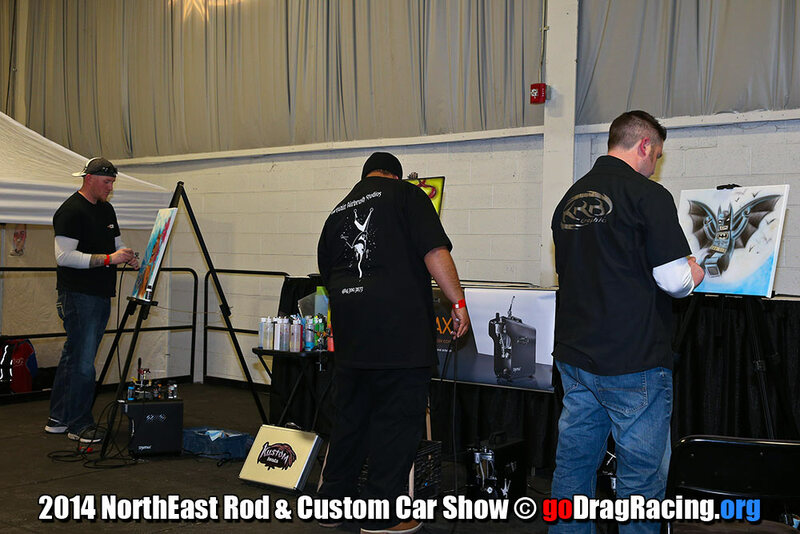 Once again, to be held at the Greater Philadelphia Expo Center in Oaks, PA on March 21st, 22nd, 23rd of 2014. 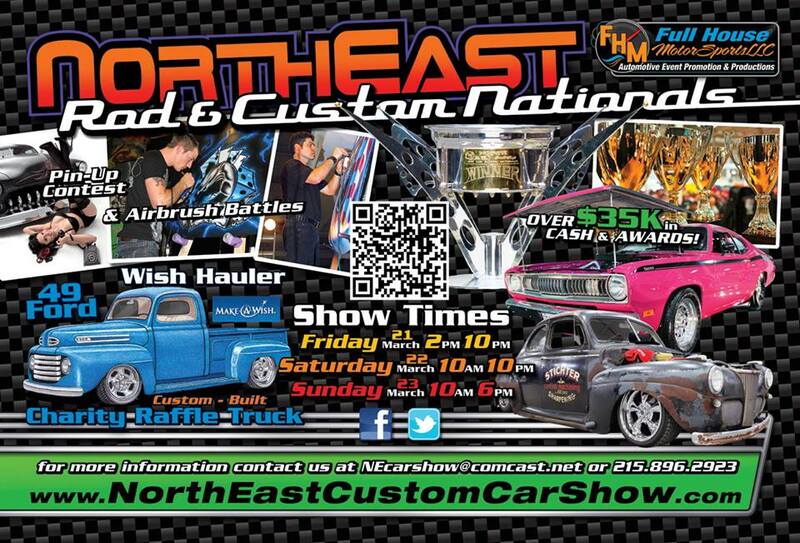 Many car show activities will be taking place throughout this weekend. 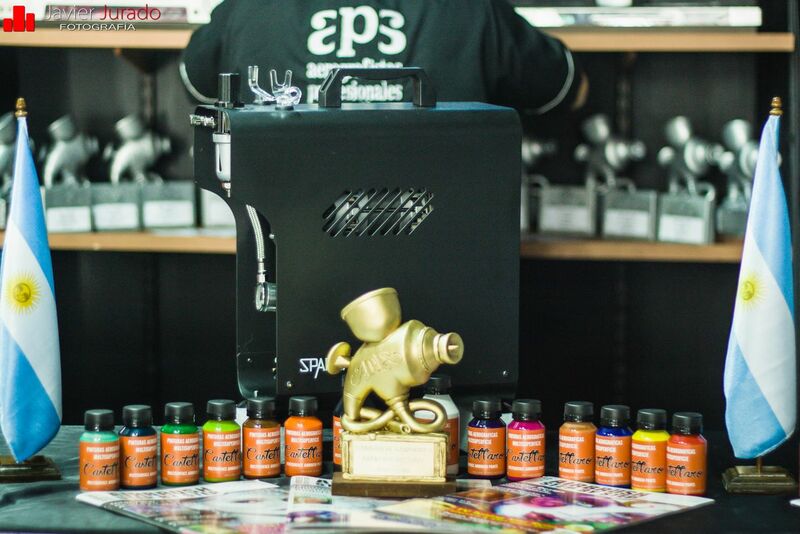 And one of the most entertaining events looking forward to is the Airbrush Battle! This is the event where some of the best artists will gather together to perform live painting for an hour using SPARMAX compressor! 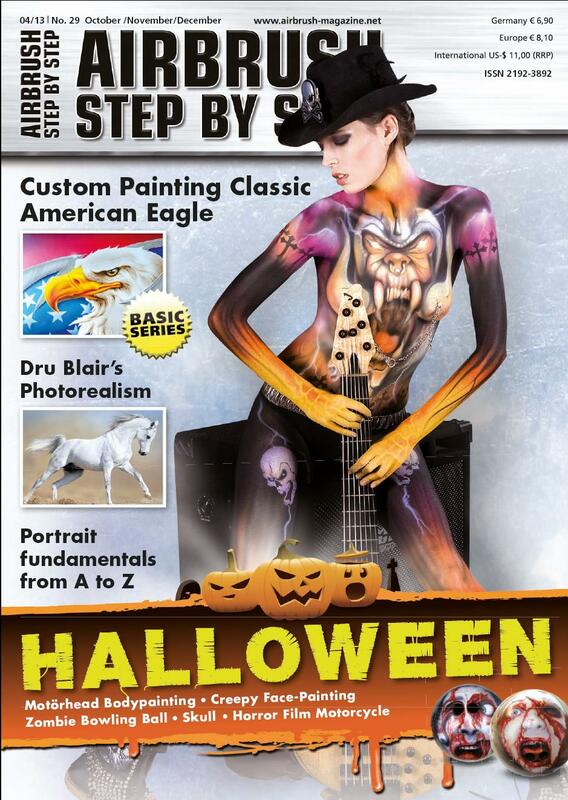 Check us out on the latest October-December issue of Airbrush Step by Step Magazine for the SPARMAX ARISM 35th Anniversary Special Edition Kit. 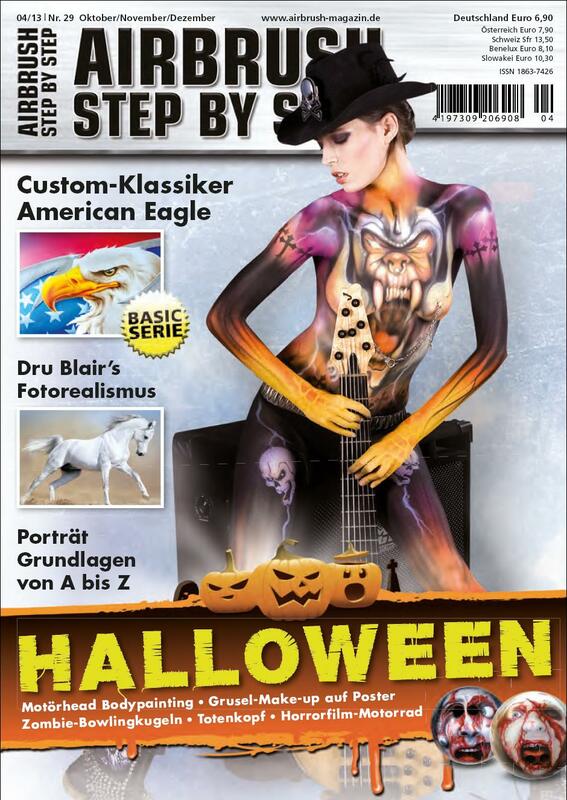 Now published in the European version and the English version will be out next Week! 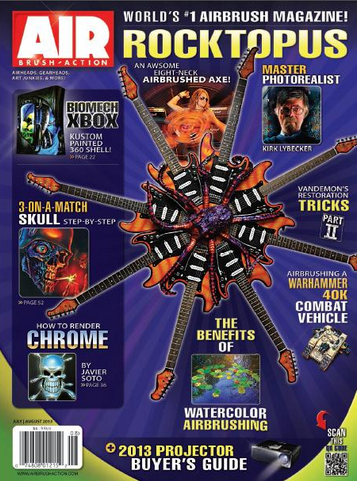 The ads could be seen as the picture shown above. 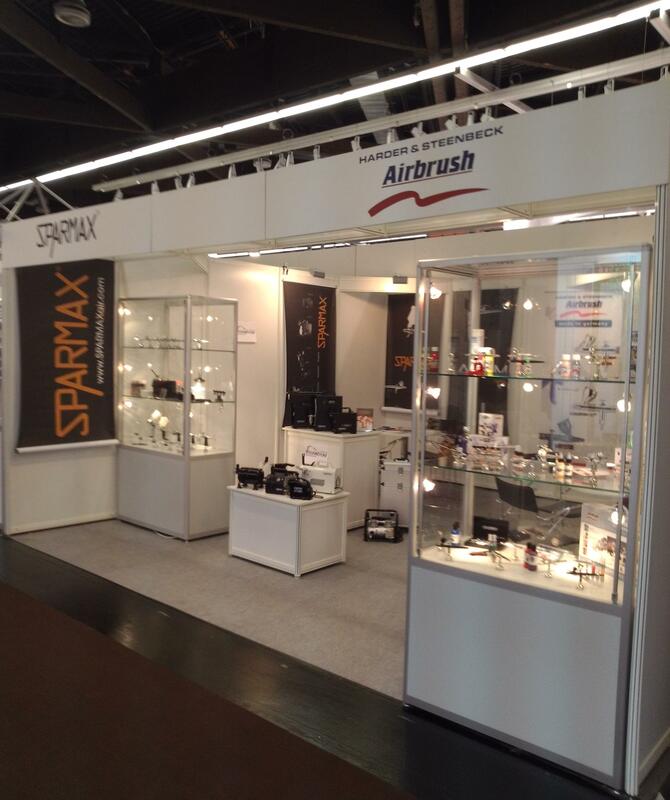 For purchase in Europe, please see our distributor list from http://www.sparmaxair.com/distributors.php for details. 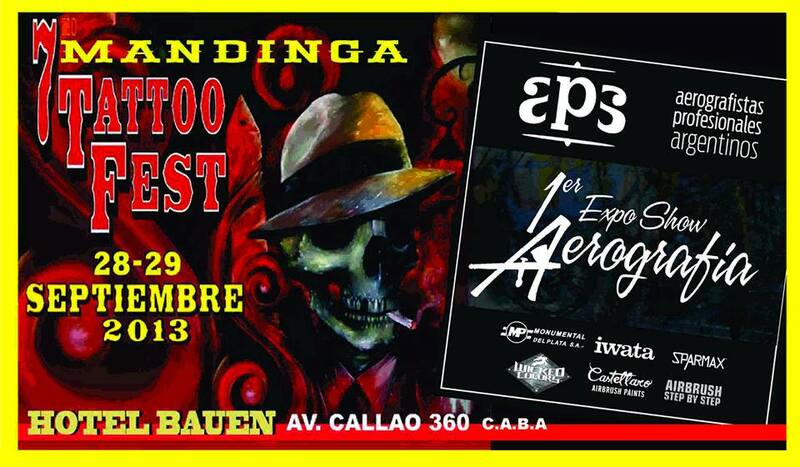 September 28th~ 29th, tattoo enthusiasts gathered in Buenos Aires, Argentina for the annual Mandinga Tattoo Fest. 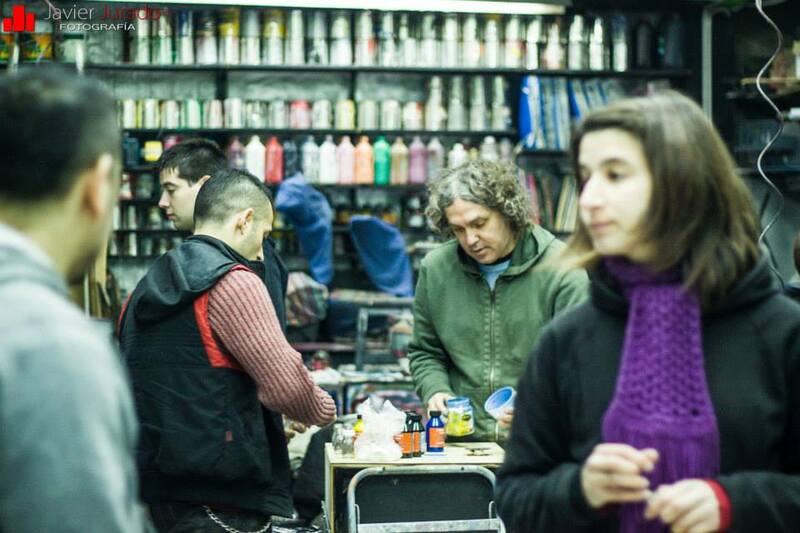 Being known together with Mandinga Tattoo Show, one of the biggest tattoo events in Latin America held in March every year, Mandinga Tattoo Fest, held in September, focuses more on the local and the appliance of tattoo in Argentina. Comparing to Mandinga Tattoo Show with over 250 artists attending from all over Latin America, USA and Europe, this Tattoo Fest provides a platform for local enthusiasts to interact in a more lively atmosphere. 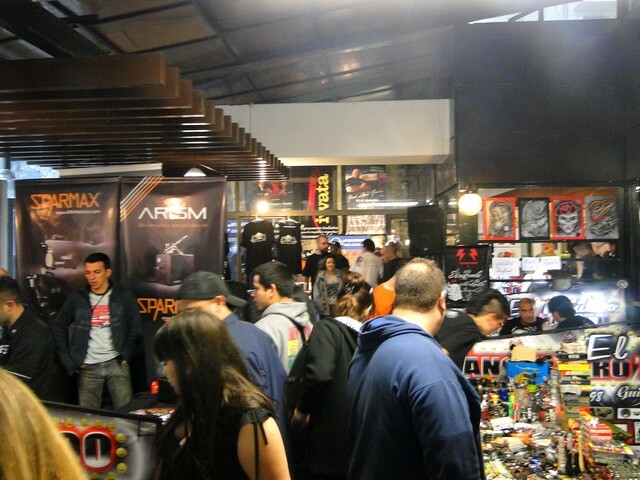 Visitors get to explore a variety of tattoo related machine, equipment, merchandise, accessories, and attend seminars. 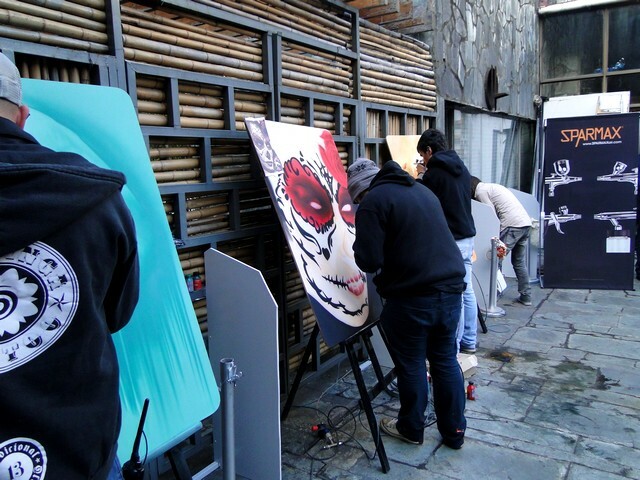 Moreover, there’s an art gallery where visitors can experience temporary tattoo and see live painting demonstrations. 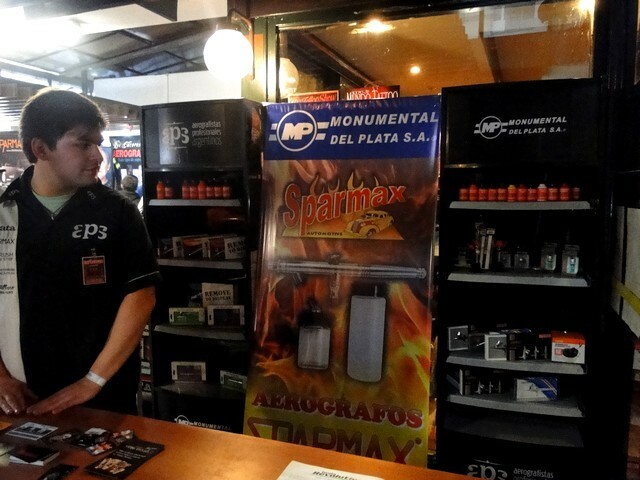 On demonstration, Sparmax has also taken part in the event by our distributor Monumental Del Plata S.A. as shown in the above photo displaying our compressor and airbrush. Monumental Del Plata S.A. had invited some artists to paint live at the show demonstrating delicate airbrushing techniques as shown in the above photo. 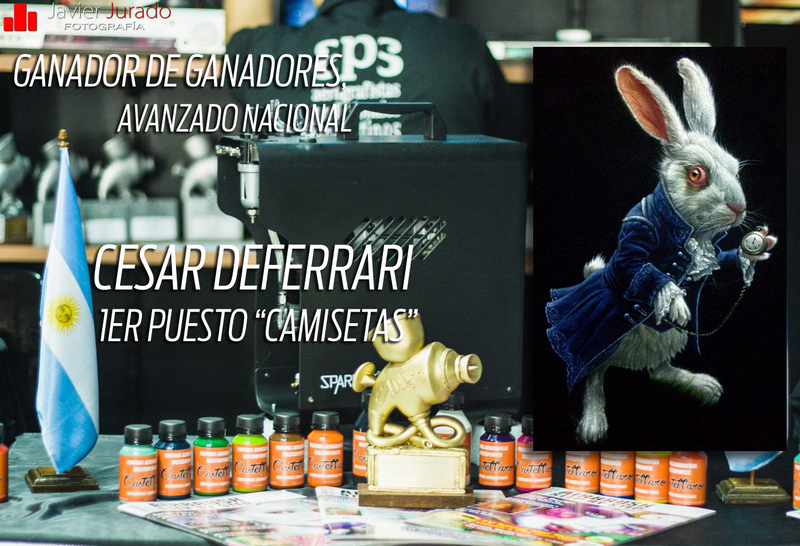 The Argentine Professional Airbrush ‘APA’ launched its very first international competition in June as an opportunity to gather airbrushing beginners, enthusiasts and professional artists to share their artworks and voices from local to global. All submissions are reviewed by the 2 famous artists, Jose San Juan and Gerald Mendez, and also board members of the APA organization. 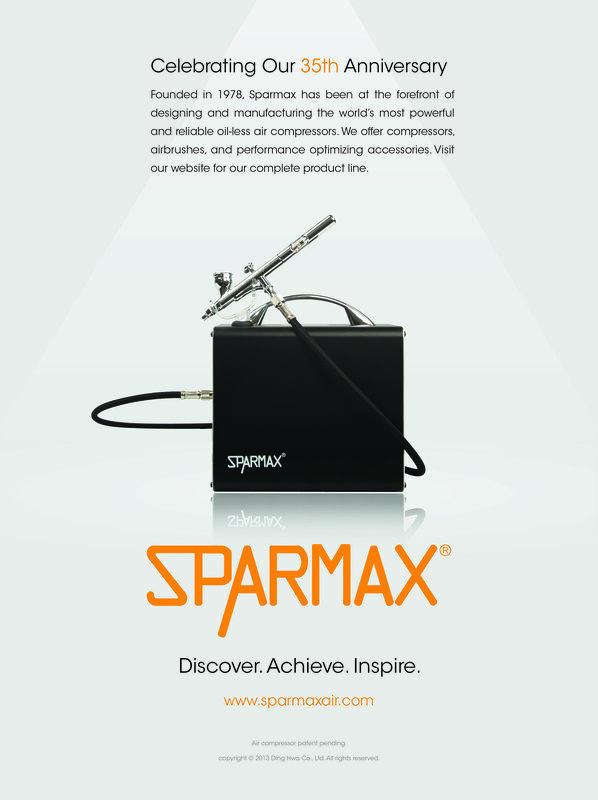 Sparmax is happy to be part of this event sponsoring our winners the TC-620X compressor and SP-35 airbrush. 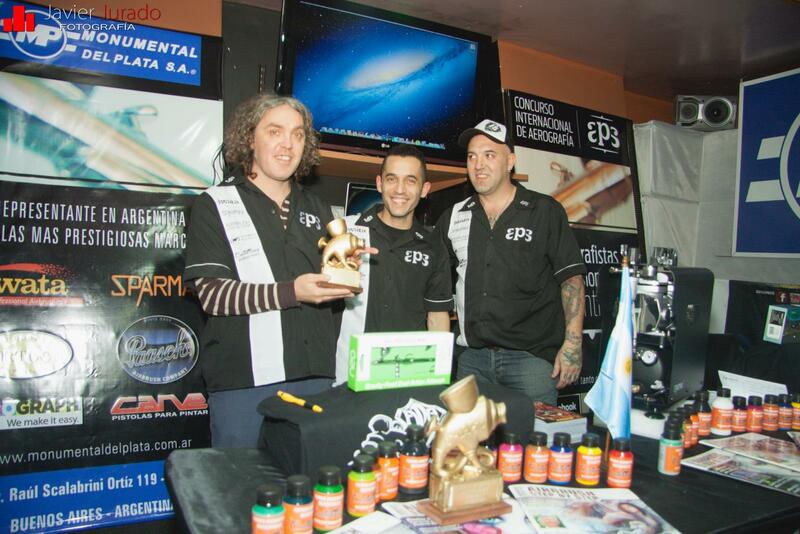 Here are some highlights of the event and award ceremony held on August 4th at the APA hall at Monumetal Del Plata. 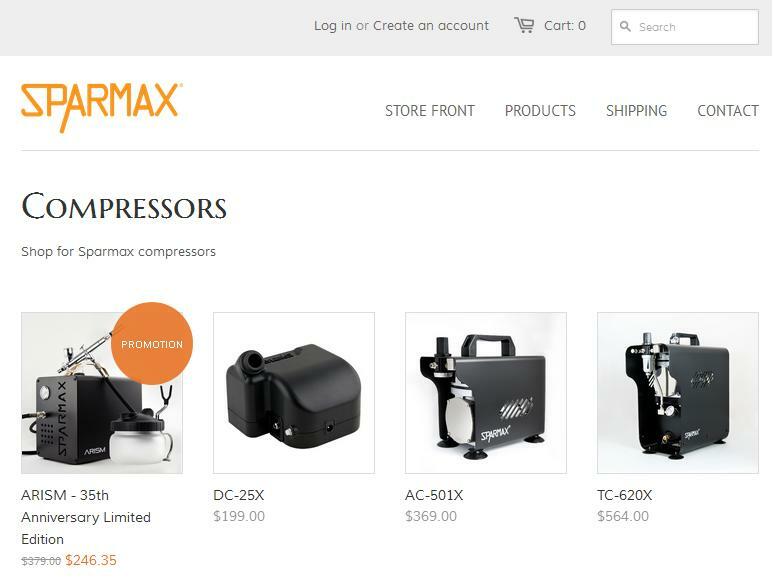 A selected range of SPARMAX products is now available from 5th August 2013 for direct online shopping for the U.S. and Canada residents. The orders will be shipped directly from our warehouse located in Nevada, U.S. to ensure a prompt delivery service. 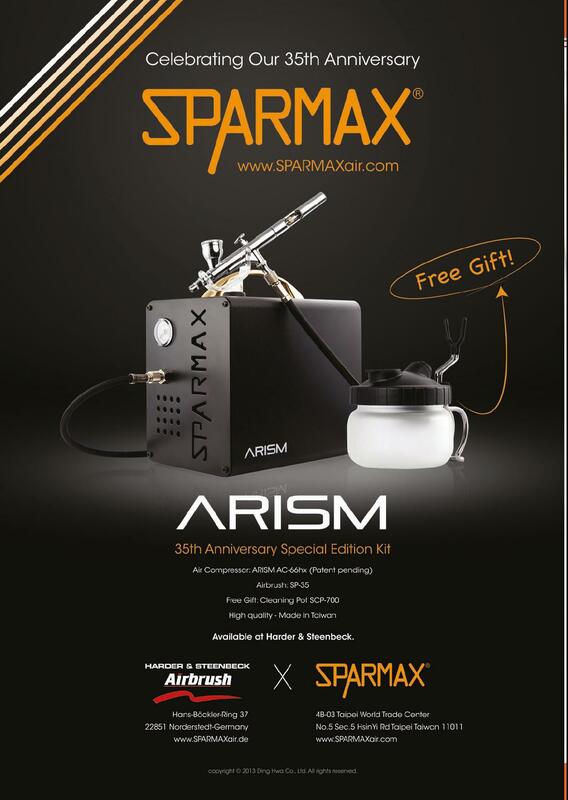 In celebration of our 35th Anniversary, we have featured SPARMAX in the July-August issue of Airbrush Action Magazine to further strengthen Sparmax brand recognition, so that more people around the world can get to know and access to the quality and innovative products from SPARMAX.